Belen Santander is both patient and ambitious. 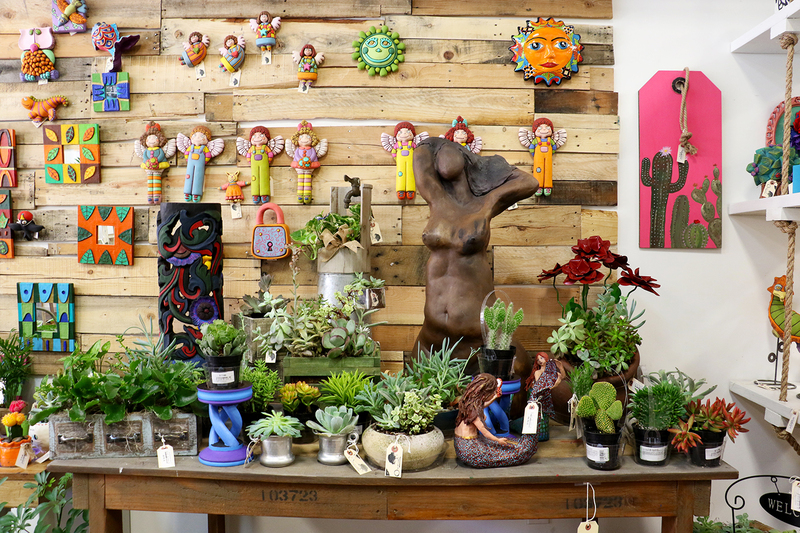 After waiting four years for her U.S. visa and living in Phoenix for just three months, the 32-year-old opened a small art and plant shop, One of a Kind, on Monroe Street and Central Avenue in Downtown Phoenix. 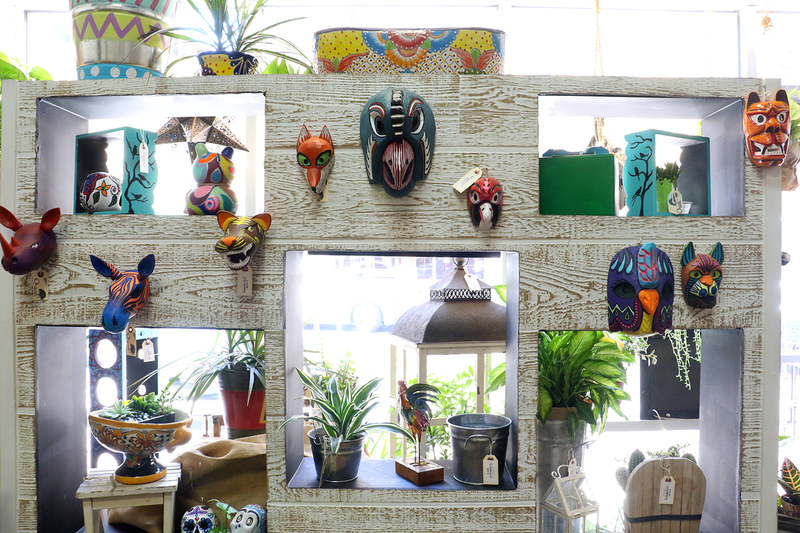 The narrow space is brimming with handmade pottery; folk art; plants; locally made furniture; paintings; and other decorations and clothing accessories from around the United States, Mexico and Ecuador. Every visit feels like the first. 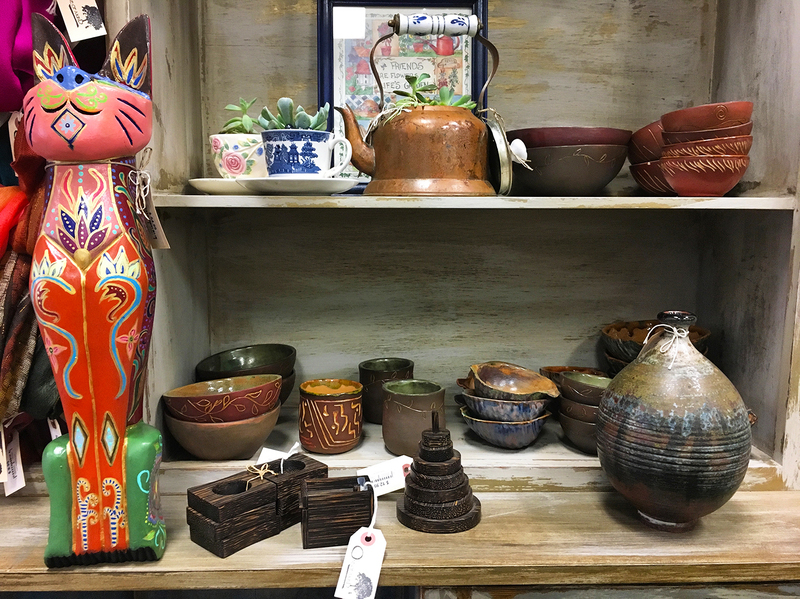 Bowls, scarves, mirrors, planters, ceramic fixtures, and hand-painted wood décor are arranged in eclectic assortments throughout the boutique, tucked away in corners or hidden in plain sight. It’s impossible not to discover something new each time. Aptly named and with a big personality, One of a Kind reflects the color and charm of Santander’s hometown Guayaquil, Ecuador. Born and raised there, Santander worked full-time as an artist and continued to do so through graphic design when she moved to Los Angeles in 2016. After a brief stint in the Golden State – just six to eight months – she moved to Downtown Phoenix looking for a better sense of community and a place to call home. Phoenix was a natural choice. 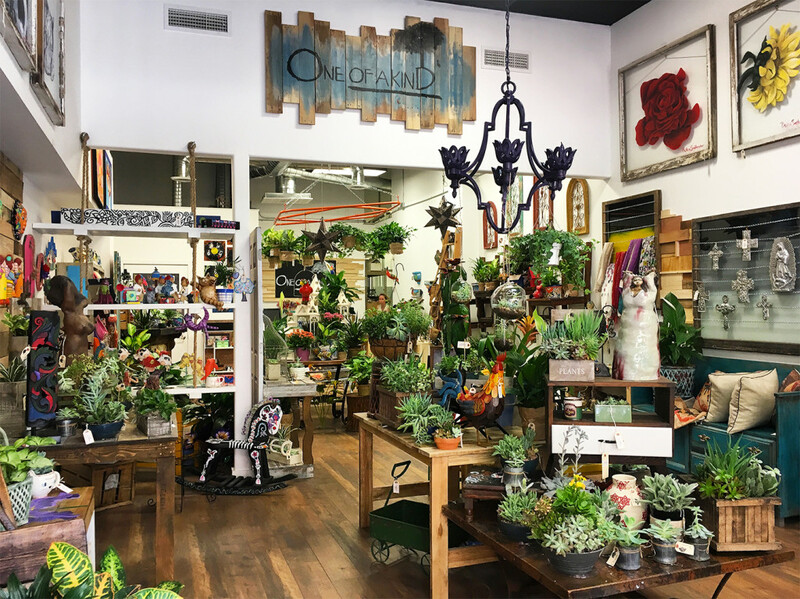 Her cousin, Daniela Baca, has lived here for years and actually co-founded her own downtown business in 2013, We Got Flowers, located on Fifth Avenue and Van Buren Street. 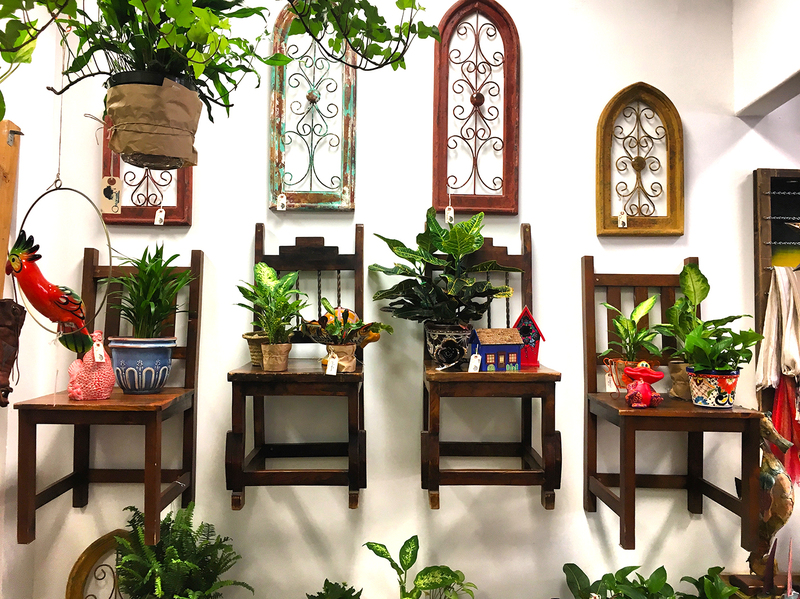 As soon as Baca heard Belen’s business idea for an art and plant shop, she said she was excited to help her cousin realize her dream. Baca was born in California, raised in Ecuador and returned to the United States as an exchange student. After finishing her studies in Ecuador, she decided to move to Phoenix to open a business and has been here ever since. Since Santander is new to town and still perfecting her English, Baca has been mentoring her through the process of launching and operating a business. But it’s Santander’s vision and imagination that directs the business. For the painter, the shop itself is an act of art, a way of expressing herself. Managing her own business allows her the independence to do as she see fits. 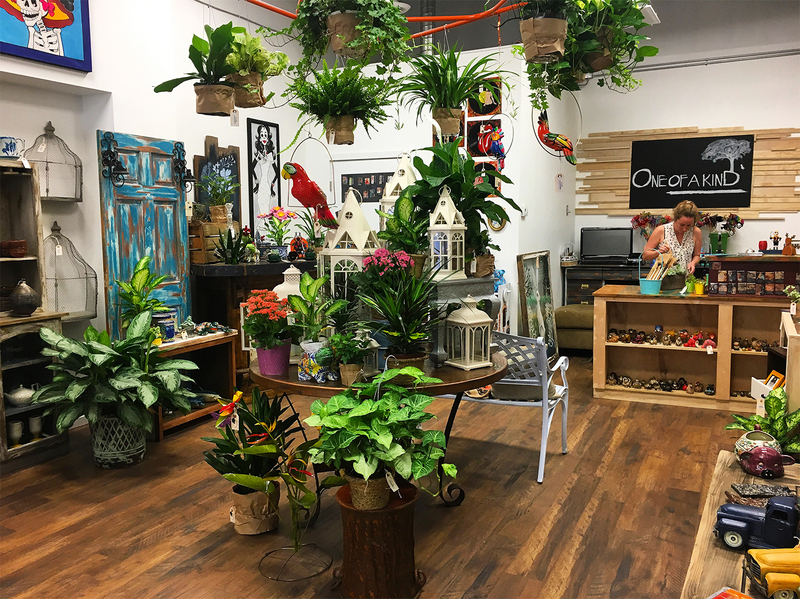 One of a Kind is open Monday-Friday from 10 a.m. to 7 p.m. and Saturday from 10 a.m. to 4 p.m. Find them at 11 W. Monroe Street, next door to Cornish Pasty Co.